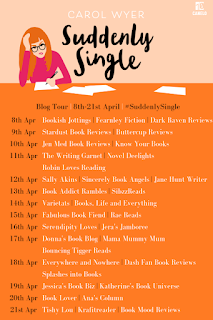 Today is my stop on the Blog Tour for Suddenly Single by Carol Wyer. When bestselling romance author Chloe Piper’s marriage implodes a week before Christmas, she flies her cheating ex and the village gossips for the solitude of the newly built Sunny Meadow Farm and the company of her hapless dog, Ronnie. Chloe Piper's marriage falls apart just before Christmas. She makes the decision to leave her ex, as his cheating was just too much for her to handle. If that wasn't so bad, the village gossips were a bit much. So, Chloe heads to a new development called Sunny Meadow Barn. Her constant companion is her dog, Ronnie. All Chloe wants to do is get her life back together by focusing on herself. This proves to be impossible due to the busyness in the development. Chloe needed a change, a slower pace. As an author, she hopes to write without distraction. But she meets a rather lively crew at Sunny Meadow. One of the people Chloe meets is Alex Collins, the project manager, and he shows an interest in her. However, after dealing with her ex, she is reluctant to get involved, and this is despite the fact that she is rather drawn to him. But, rather than thinking about a new relationship, one that could be fraught with troubles, Chloe would rather focus on her new book. 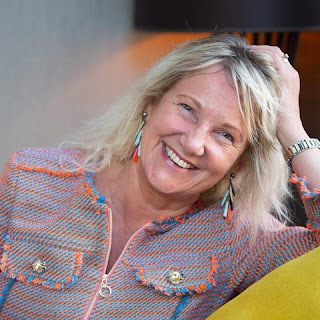 Whatever Chloe deals with at this time, including sensitive issues, the book is balanced with finely tuned humor, which is indicative of the writing talent of the author. 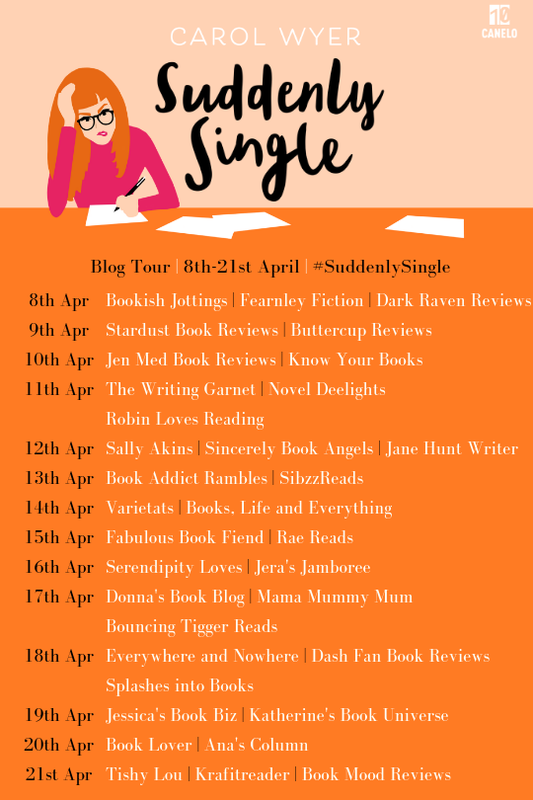 If you enjoy books that will make you laugh, while watching things bloom for Chloe, then you will be glad to read Suddenly Single. 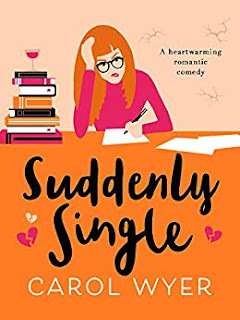 Carol Wyer does a terrific job in writing different genres, as this book certainly shows. Many thanks to Canelo for this ARC to review in exchange for my honest opinion. I need to try this author - I keep meaning to! Definitely sounds interesting! I will have to add it to my TBR! 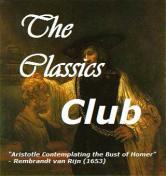 Every review I've seen for this book the reviewer loved it, I will have to give it a read. Great review. This sounds like such a sweet story! This looks like a really fun story.